OBAGI NU-DERM PHYSICAL UV BROAD SPECTRUM SPF 32 is a sunscreen containing 18.5% zinc oxide as its active ingredient. The zinc oxide acts as a physical block for UVA and UVB radiation from the sun, offering your patients broad-spectrum protection. Even minor amounts of sun exposure can cause dark spots and hyperpigmentation to form on the skin, so it helps prevent this skin discoloration by limiting the amount of sun that can reach the skin. OBAGI NU-DERM PHYSICAL UV BROAD SPECTRUM SPF 32 is suitable for all skin types, including dry, oily, and normal. 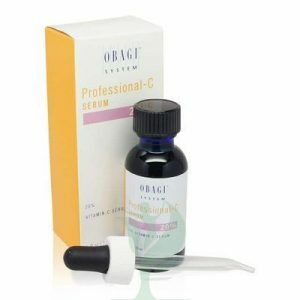 OBAGI NU-DERM products benefit patients who have signs of premature aging and sun damage, like hyperpigmentation, erythema, sallowness, age spots, and rough skin, and OBAGI NU-DERM PHYSICAL UV BROAD SPECTRUM SPF 32 is suitable for your patients who will be out in the sun, potentially exposing their skin to more damage. 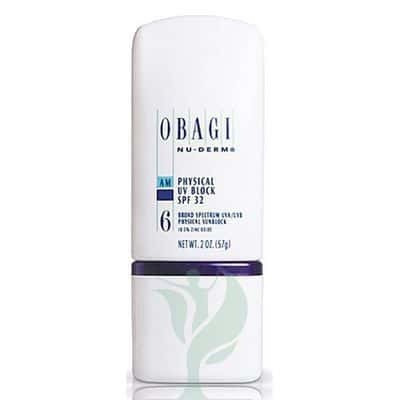 Make Obagi Nu-Derm Physical UV Block SPF 32 a daily part of your routine to keep skin youthful and healthy!